Product categories of Lab Seed Cleaner & Grader, we are specialized manufacturers from China, Seed Grader, Small Seed Cleaning Machine suppliers/factory, wholesale high-quality products of Laboratory Seed Cleaner R & D and manufacturing, we have the perfect after-sales service and technical support. Look forward to your cooperation! The 5XZC-L Laboratory Seed Cleaner & grader is precision equipment for particulate material cleaning and grading. It is suitable for separation of all seed types, as grain, grass seeds, flower seeds, vegetable seeds, herb seeds and so on. Lab Seed Cleaner is mainly used for all kinds of seed processing characteristics test and research. 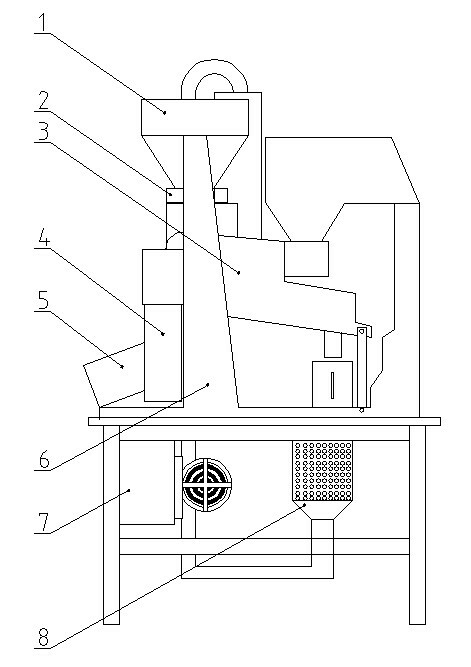 It is also widely used for quantity high-value seeds cleaning and size classification. 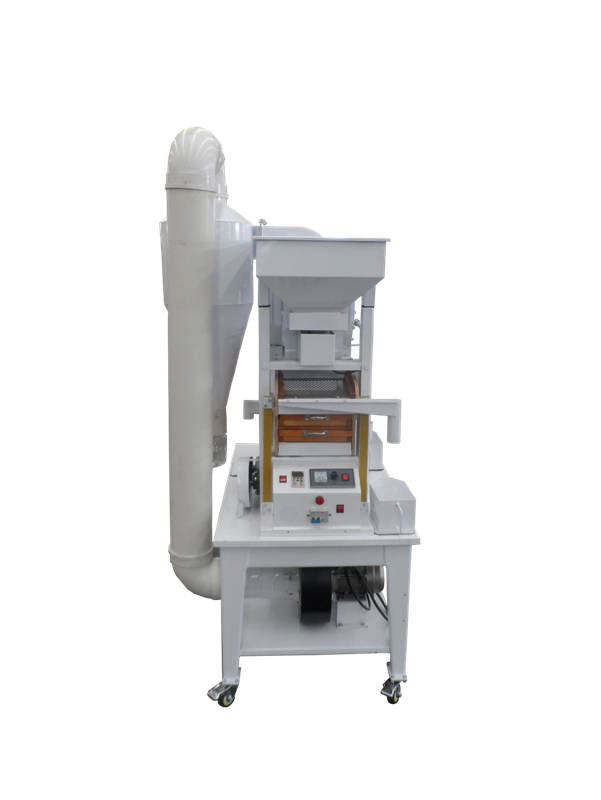 The seed cleaner is air screen structure. It has former and rear dust separating air pipes, so you can clean the dust, light impurities and blighted seeds from good ones. Vibrating sieve trunk is installed 3 sieve layers in the upper, middle and lower part. First sieve layer is used to separate large impurity & large seeds. Second sieve layer is used to separate small impurity & small seed. The rest seeds are qualified seeds and they go to main discharge outlet. By adjusting the frequency converter button, you can control the sieve trunk vibration and control material running speed on sieve screen surface. There are also several air volume adjusting handles to help you get the suitable air suction. So you can well manage the seed cleaning effect by adjust trunk vibration frequency and air volume. At bottom of the sieve trunk, there is an air filter. Dusty air produced after winnowing will be discharged after filtering. This is environmental protection design. Lab Seed Cleaner & Grader is two air screens structure. The front and rear part both has one air cleaning system. In air cleaning procedure, it removes dust, light impurities and unfilled seeds. Vibration sieve trunk is equipped with three sieve layers which used to separate large impurity, and small impurity. After whole cleaning processing, qualified seeds are separated from impurity.